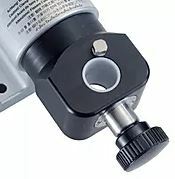 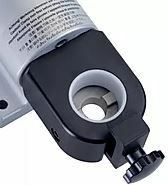 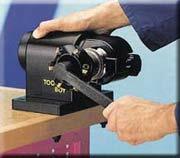 The TOOL BOY is a unique tool mounting device for the assembling and disassembling of cutting tools on tool holders and modular tools. 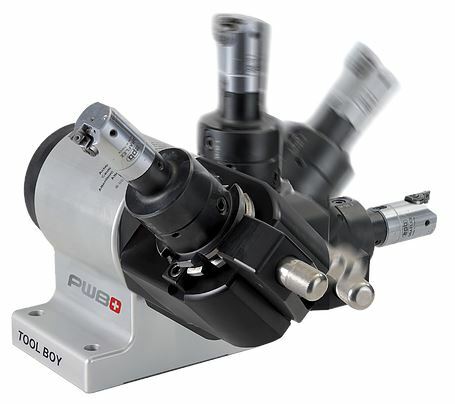 The head can be rotated 360 degrees, allowing convenient access for all operations in one set-up. 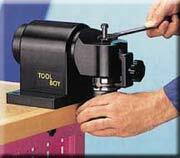 The clamping can be forced down, rather than horizontally, allowing the TOOL BOY to be installed on tool carts. 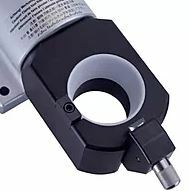 The head are secured in the horizontal position for locking the tool, which means that substantially less force is required to achieve optimum torque transmission. 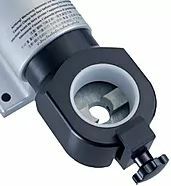 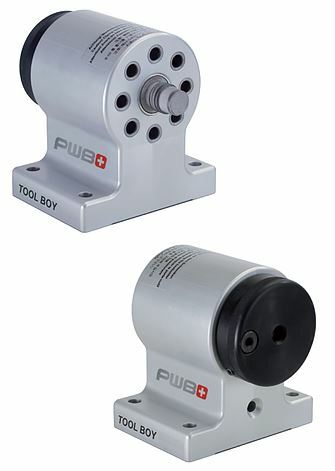 With the TOOL BOY, you eliminate damage to your machine spindles - advantages which pay off very quickly! 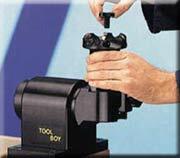 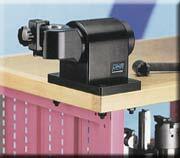 Down load a PDF brochure of the Tool Boy Range of tool fixtures.